Voted Hostelworld #1 Hostel in Australia 2009 / 2012. We offer you a unique chilled and relaxed homely atmosphere. 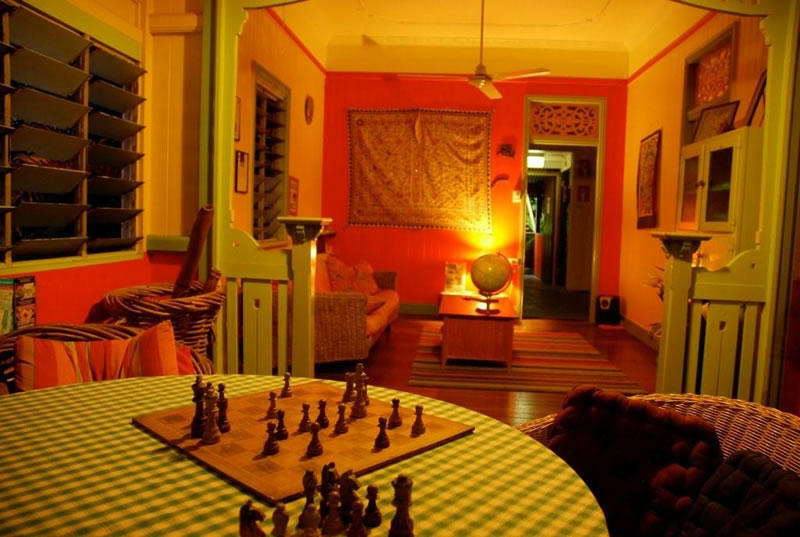 Our independent hostel is small, clean and friendly with great personal service. Its one of a kind, not one of a chain. Each room includes fans and all bed linen. Guests have access to shared bathroom facilities. Air-conditioning is available for an additional cost. Free luggage storage is provided. Set amongst a tropical garden with outdoor pool, guests can relax in hammocks or enjoy a BBQ in the shade. Two fully equipped kitchens and laundry facilities are available. The bar, lounge features regular BBQ and pizza nights with movies on a big screen. Your accommodation is set across three traditional Queensland homes, just a short five-minute walk to the esplanade, swimming lagoon and the Great Barrier Reef departures. We pride ourselves on our local knowledge, giving you up-to-date information and specials for you to consider. You can get a airport transfer for only $5 per person from the airport with FNQ Airport shuttle. You must pre book your shuttle at www.cairnsairport shuttle.com.au. If you do not prebook online the cost is $12 dollars for one person, $17 for two safe Travels.